Lasers and other energy-based technologies complement the surgical skills of the contemporary aesthetic eyelid surgeon. 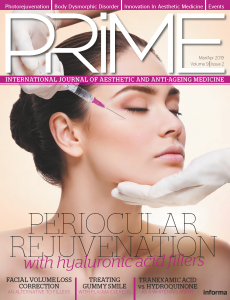 Surgical techniques are the cornerstone of an integrated oculofacial rejuvenation plan, but lasers and light offer enhancements that are otherwise unachievable. In an age of laser vision correction and laser liposuction, the so‑called ‘laser blepharoplasty’ is more than just hype. ‘Traditional’ upper and lower blepharoplasty commonly include a number of surgical maneuvers, such as excision of redundant skin and eyelid fat manipulation. However, these techniques do not directly improve skin thickness and photoageing, while lasers directly target these concerns. Excising and tensioning the eyelid skin can reduce the appearance of rhytids, but the skin quality is unchanged; just as if one were to pull the corners of a wrinkled bed sheet, the surface may look smoother but the thread count is still the same. Resurfacing of the eyelid with traditional blepharoplasty provides a more complete rejuvenation by addressing the quality of the remaining eyelid skin. Cosmetic laser choice should be based on a number of factors, including effectiveness, parameter flexibility, and servicing availability. The laser must also be matched to the patient. I use a fractional CO2 laser for Fitzpatrick skin types I–III, a non-ablative erbium laser for III–IV, and an Nd:YAG for IV–V. When redness and telangiectasia are present, the KTP laser or IPL is used. It is often said that eyelid resurfacing should take place outside the boundaries of the bony orbit. With proper safety measures, resurfacing can be done on the entire eyelid up to the eyelash line, the medial canthal skin, and the sub-brow skin. During laser treatment, non-reflective stainless steel corneal shields coated in ophthalmic ointment are in place to protect the ocular surface. The position of the shields are repeatedly verified throughout the procedure. Lower lid resurfacing with a laser or chemical peels is commonly performed by cosmetic eyelid surgeons, but upper lid resurfacing is equally worthwhile. Treatment of the medial canthal region can reduce wrinkles and improve texture in this area while eliminating the need for incisions that extend beyond the medial eyelid crease. Sub-brow resurfacing can reduce the appearance of photoageing, rhytidosis of the thick brow skin, and vertical sleep lines. Pretarsal skin resurfacing rejuvenates the skin of the visible eyelid shelf that can also display wrinkles with age. While laser blepharoplasty was originally defined as traditional blepharoplasty performed with an incisional laser, it now includes traditional blepharoplasty with laser resurfacing of the eyelid skin. When performed as a total eyelid resurfacing, including the pretarsus, the medial canthus, and the sub-brow, a more complete rejuvenation is possible.